Many people interested in natural remedies and herbal self-care turn to Arbonne herbal products. Much like Herbalife, independent consultants sell Arbonne herbal products. These consultants earn a commission for each product sold. Arbonne's product line includes herbal skincare, nutrition supplements, weight loss aids and baby products. The Arbonne herbal products company has grown to become one of the best-known natural products companies in the world today. Arbonne claims it consults with a wide range of chemists and herbalists to create the company's signature line of products. The company's website states that the products are "formulated in Switzerland and Made in the U.S.A."
The best-known Arbonne products consist of herbal skincare treatments. Specialized products using botanical extracts also include foot and hand treatments as well as a line of baby products such as herbal diaper rash cream. Never tested on animals. The company recruits human volunteers to test new products. Formulated with 'botanical' extracts. Note that this may not necessarily mean herbs are included in every formula. Other plant-based extracts may be included. Formulated without mineral oil. Mineral oil sometimes irritates sensitive skin. Created without artificial dyes or chemicals. This is a big plus for anyone seeking healthier personal care products. Arbonne also sells a line of makeup specially designed to match various hair, eye and skin colors. Makeup products contain numerous herbal extracts, including green tea and other herbs. Foundation, eye makeup, blusher and other products are all available. Arbonne also offers a suite of aromatherapy products. 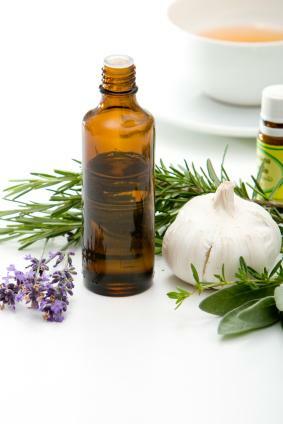 These products also include herbal infusions and natural ingredients. Bath, shower and relaxation products are available. Rounding out the list of Arbonne herbal products are weight loss and nutritional aids. Many of these herbal blends include specialized botanical extracts that claim to aid health and vitality. Teas, candy chews, and other herbal products claim to help customers lose weight. Milk thistle: Milk thistle is used for liver cleansing and detoxifying the body. Green tea: Green tea contains powerful antioxidant properties. It's frequently included in both topical treatments and products like weight loss supplements. Echinacea: Powerful immune system stimulant. As with most products, some people love Arbonne herbal while others feel it's a waste of money. Whether or not to use Arbonne, or any other company's products, is a matter of personal choice, but one should always consider both the advantages and disadvantages of herbal products before using them. Many people love the Arbonne skin care line. Some claim that it works well with their troubled skin and clears up acne and rosacea. Personal testimonies claim high satisfaction rates and good results, particularly with the skincare product line. Most news reports and reviews about the Arbonne product line feature positive testimonials from satisfied users. Because the products aren't tested on animals, anyone concerned with animal rights and welfare can be confident that their beauty care products haven't harmed laboratory animals. The ingredients cited in product advertising appear to be harmless, well-researched botanical extracts. The company has a long, demonstrated history of producing products with few reported complaints or negative publicity. The biggest complaint against Arbonne herbal products is that the products cost a lot of money. Most products are several times more expensive than similar products found at drug stores and health food stores. Many other herbal skincare products feature the same ingredients and are much less expensive. A surprising finding when perusing the Arbonne corporate website is how few efficacy studies are available to demonstrate the success of their herbal blends. Testimonials abound, but hard scientific evidence of the products' success rates and health claims is lacking. This makes it difficult for some consumers to justify spending more on Arbonne products than on other brands with similar ingredients and health claims. It is difficult to get an exact list of the herbs included in each product without speaking directly to a consultant and seeing a bottle or jar of Arbonne products in person. While this may help the company sell more products, it makes it very difficult for the casual observer to assess whether or not the product claims are true. One also needs to understand which herbs are included to prevent possible dangerous side effects with medications, allergies and other health conditions. Many critics of Arbonne contend that like other multi-level marketing (MLM) programs, only a few at the top of the sales rung make money. New consultants must invest a great deal of capital and recruit other sales consultants before earning decent money. Nevertheless, the company states clearly on its website that its sales programs are not a get-rich-quick scheme, nor are they for everyone.